Gorilla glue is a hard-hitting Indica dominant hybrid strain from the US. This couch locker will relax you with euphoric highs and a powerful body stone leaving you totally chilled. Producing dense sticky buds dripping in resin, which will glue literally everything together, hence the name. The earthy and sour aromas are strong with and underlying hint of diesel. 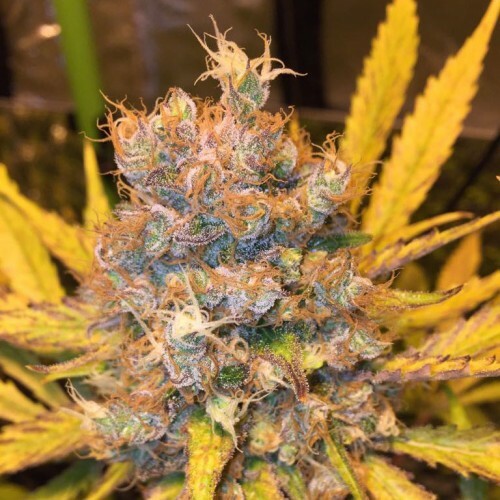 Gorilla Glue is popular with medical patients and is used to treat many conditions including depression, stress, insomnia and pain due to its very high 28% THC level. A medium/high yielding plant ready in 65 days. Genetics Gorilla Glue x Gorilla Glue.